Flocker is a data volume manager and multi-host Docker cluster management tool. With it you can run your databases, queues and key-value stores in Docker and move them around as easily as the rest of your app. Optimized for storing and querying graphs with hundreds of billions of vertices and edges across a multi-machine cluster. Titan is a transactional database that can support thousands of concurrent users executing complex graph traversals in real time. Kenny Gorman shares his thoughts on some of the upcoming goodies in future MongoDB releases. 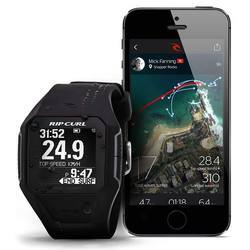 Rip Curl announced their new wearable technology to help surfers capture and analyze surf data, provide motivation and offer insight into surfing patterns and behaviors. Obviously, Rip Curl needed somewhere for all of that data to live and a solid infrastructure to support it. Read how they run MongoDB and Managed Cloud to scale with ease. A fully distributed, relational database that runs SQL queries continuously on streaming data. Enables applications to store data locally while offline, then synchronize it with CouchDB and compatible servers when the application is back online. Why Cloudant chose MongoDB’s query syntax for their database service, and why they’re contributing it back to Apache CouchDB. A walkthrough of using PostgreSQL within a Docker container. Bob Ward is Principle Escalation Engineer for SQL Server, and he talks about the two top reasons people want to talk to him and his team who troubleshoot serious SQL Server performance problems.